Digital camera data recovery software is designed to recover photos, accidentally deleted pictures, corrupted image files, formatted audio/video files and folders from your digital flash camera device. Award winning image recovery utility support data recovery after the memory card being pulled out while camera is on or when “drive not formatted” message is displayed by your computer system. Supports branded digital camera including Canon, Lexar, Kodak, Konica, Nikon, Fuji-film, Sony, Samsung, HP, Panasonic, Olympus etc. 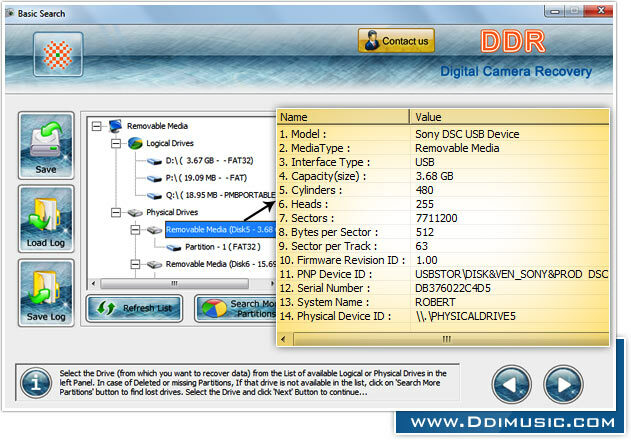 ◉ Advance data recovery algorithm: Data recovery software scans Digital camera storage device to search and restore lost files. 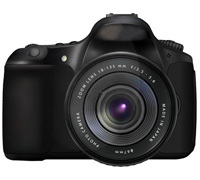 ◉ Support Digital Camera Brands: Restore images from digital camera of any brand including Canon, Sony, Samsung, Kodak, Nikon etc. ◉ Recovery in all data loss cases: Software supports recovery of images lost due to accidental deletion, virus attack, drive format, power failure or hardware malfunction. ◉ Restore deleted snaps: Retrieve digital images even when digicam memory card is pulled out in running mode. ◉ Preview functionality: Photo recovery software facilitates thumbnail preview of images before actual recovery procedure starts.